“Smooth Sheet Music” by Carlos Santana ft. 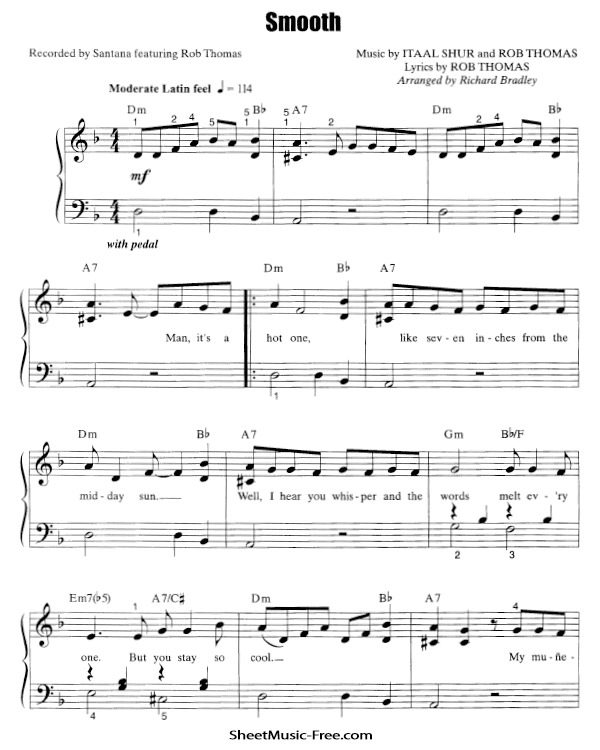 Rob Thomas, “ Smooth Sheet Music” for Piano / Vocal/ Chords , Original key: D Minor, number of pages sheet music PDF: 4, Video and Lyrics song Smooth Sheet Music. “Smooth’” is a collaboration between Latin rock band Santana and Matchbox Twenty vocalist Rob Thomas. Smooth Sheet Music Carlos Santana ft. Rob Thomas.